With a stay at Altura Suites, you'll be centrally located in Santiago, steps from Santa Lucia Hill and minutes from Basilica de la Merced. 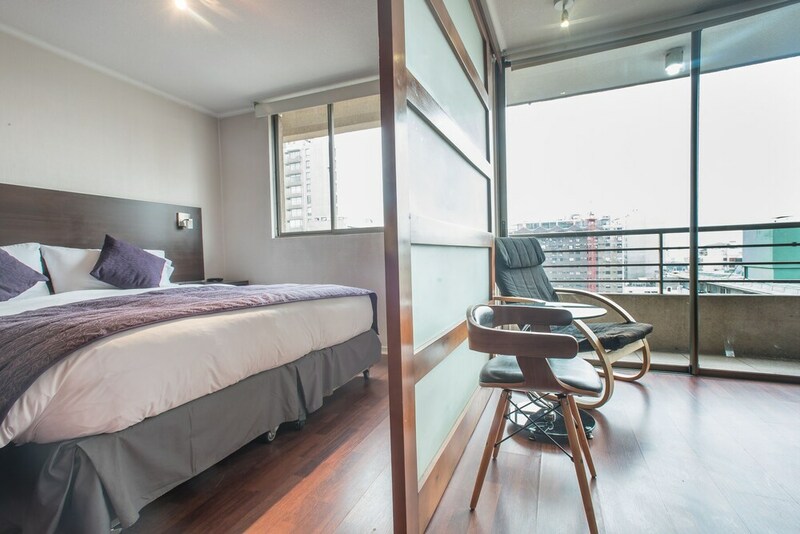 This apartment is within close proximity of Municipal Theatre of Santiago and Lastarria District. Make yourself at home in one of the 20 individually furnished guestrooms, featuring kitchens with full-sized refrigerators/freezers and ovens. Your room comes with a Select Comfort bed, and all rooms are furnished with sofa beds. Complimentary wireless Internet access keeps you connected, and satellite programming is available for your entertainment. Conveniences include safes and microwaves, as well as phones with free local calls. Grab a bite from the grocery/convenience store serving guests of Altura Suites. Altura Suites features a rooftop terrace, tour/ticket assistance, and laundry facilities. Wireless Internet access is complimentary. This Santiago apartment also offers a grocery/convenience store and an elevator (lift). Limited onsite parking is available on a first-come, first-served basis (surcharge). Altura Suites is a smoke-free property.